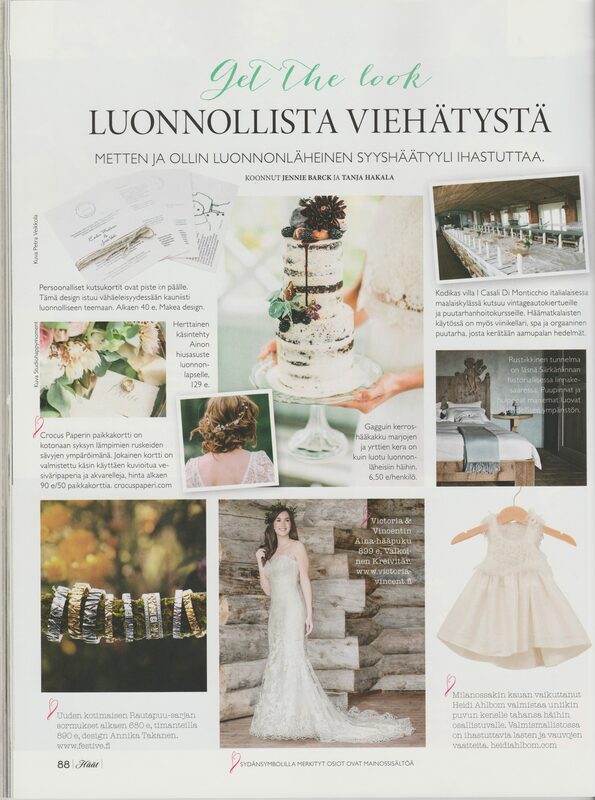 Häät magazine wrote about Heidi.A.Design on their “Get the look” page. It`s all about inspiration to fall weddings. They say that Heidi Ahlbom has lived in Milan and now creates in unique wedding dresses for all the participans of the weddings. For babies and little children there is an adorable collection.